Order wholesale custom leather tote bags to make big impressions at your next promotional event! 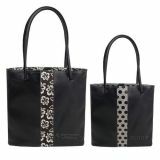 These custom tote bags are great ways to promote your organization, company or event. At ProImprint.com, we only stock personalized leather tote bags made up of faux leather which means you are not going to invite wrath of anti-leather crusaders. These customized leather bags will help your recipients to invent their style and promote your business with sophistication. 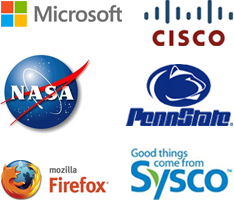 Our price includes shipping, unlimited online design proofs and lowest price match guarantee. Putting your brand logo on these leather tote bags is the sure shot way of promoting your business. Custom leather tote bags are always an intelligent gift choice for businesses trying to present their business in great style and sophistication. Most of your recipients still consider leather handbags or leather tote bags as a luxury gift and there is no other way of winning their admiration for a lifetime. Another big thing about these personalized tote bags is that you can even employ them as party favors during anniversaries, milestone birthdays, retirement or reunions, holiday parties and weddings. Available in a variety of simple to complex designs at extremely affordable price tag, these customizable leather tote bags are ideal for any type of campaign. 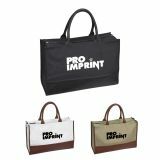 Whether you want to acknowledge your existing customers, prospects and business clients or your guests, these promotional tote bags are ideal for you. 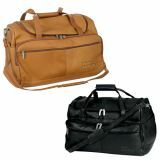 Most of the leather tote bags in our selection invite attention for their sophisticated features as well as the large imprint area. You can customize them with logo, brand message, graphics, contact details or any awareness raising information before giving them. Your recipients will use these sophisticated totes as fashion accessories and they will find reasons to repeat them in their wardrobe. Promotional leather tote bags are popular custom gifts to promote lifestyle brands, fashion houses,, cosmetic companies, women centered businesses and many others. If you are new in the niche or wish to attract customers in style, feel free to order these custom leather tote bags. No doubt, clients will be impressed with your thoughtfulness to acknowledge them in style. Imprinted with your company logo or message, these customizable leather totes will become a lasting reminder of how your business is different from competitors. 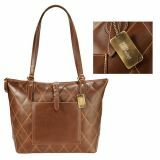 Your embossed brand logo will win you undivided attention over these elegant promotional leather tote bags. With their sophisticated designs, these promotional bags will catapult your campaign to new heights. 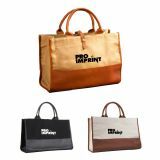 You can approach us at 844-776- 4677or write to us at info@proimprint.com to know more about these promotional leather totes and other promotional items. Our customer service team will guide you on imprint options, best price deals or all related queries about these best seller promotional totes.